Nayagarh: Kalinga Kusum Foundation recently conducted an intensive day long train the trainers (ToT) programme for continous capacity development of Gram Panchayat Resource Persons (GPRPs) to strengthen the Child Friendly Constituency Project that is being run in active support from the UNICEF in constituency of Khandapada of Nayagrah district. This is world’s first ever such project focusing on empowering children by sensitising parents, teachers, police, bureaucrats and elected representatives. The project has received overwhelming support from the Hon’ble MLA of Khandapada Shri Anubhav Patnaik, District Collector Shri Arindam Dakua and equally encouraging support from young minds of the constituency who have chosen to be GPRPs. 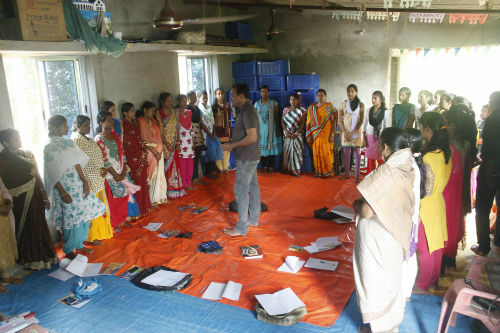 The local partner Aasha, an NGO has been a ground level facilitator of the project. Two sessions of trainings were conducted. 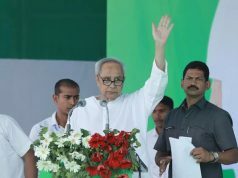 The first one was in Bhapur and the second one was in Khandapada. More than 40 GPRPs along with 20 college going female students, got orientation in confidence building, voice modulation and vocabulary development for spoken English. Some were speaking for the first time ever before the public. GPRPs found this exercise very useful and they will use the games in their respective child clubs. 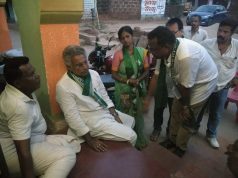 Master Trainer Prof Kamala Kanta Dash used his training in English language and street theatre to train the resource persons (GPRPs) who continue to play an important role in shaping the present and future of the children of the constituency. Kalinga Kusum team Ms. Priyadarshi Pal and Mr. Siddharth Mohanty coordinated the event and encouraged GPRPs to actively participate to learn more from the capacity building and ToT workshops. GPRP coordinators Mr. Santosh Kumar Tripathy and Mr. Dinesh Kumar Lenka found great value in the innovative training by Kalinga Kusum. 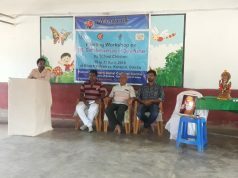 This capacity building workshop was organised by Kalinga Kusum Foundation in collaboration with its sister concern, MrClass, a Bhubaneswar based language and skills academy that imparts training in Indian and foreign languages and also works in skills development among college and university students.